For years, Street and Smith's College Football Yearbook magazine was what diehard college football fans turned to for a review of the previous season, and a preview of the upcoming year in college football. 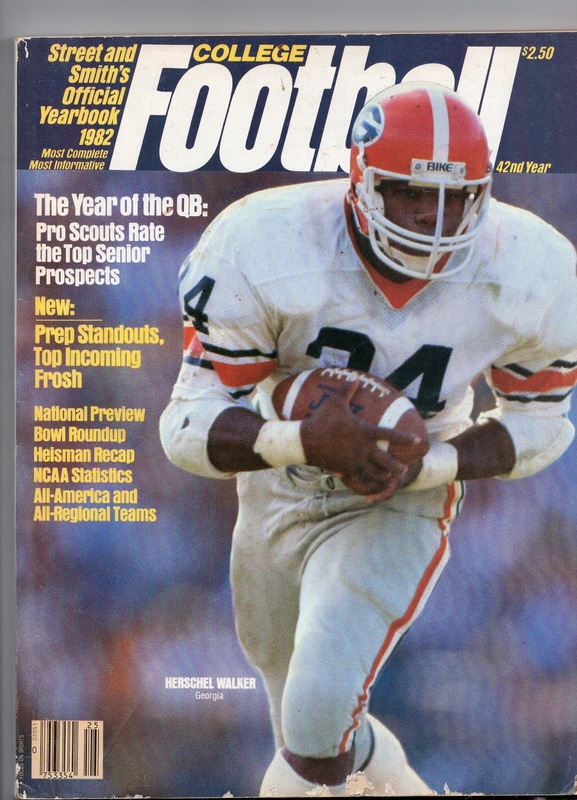 Herschel Walker graced the cover twice. First, on the 1981 issue, after bursting on the scene in 1980. 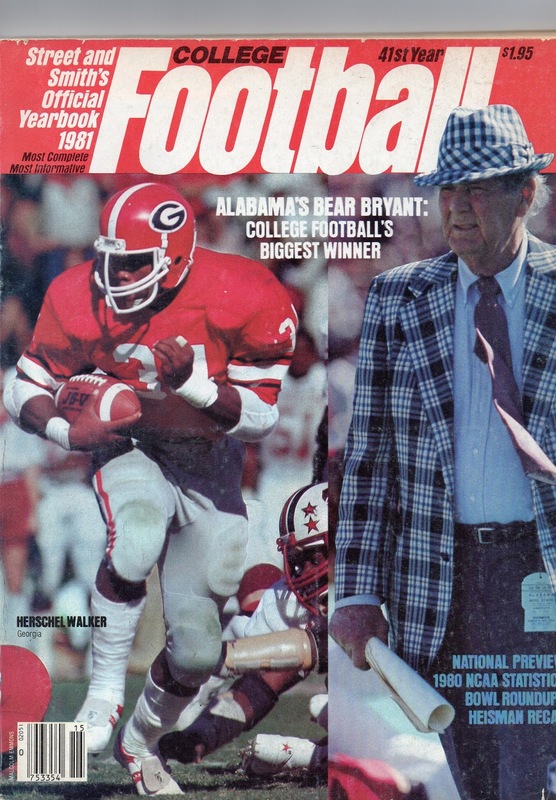 He shared the cover with legendary Alabama coach, Paul Bear Bryant. Notice the fairly large increase in price, from $1.95 to $2.50, in just one year.